DC motor Offers powerful, quiet operation. 2 speeds Include blend and purée as well as a crush option to satisfy multiple needs. 3-cup blending jar with lid Features a BPA-free design for safety and offers convenient storage of blended ingredients. Stainless-steel, S-blade design For efficient performance and durability. 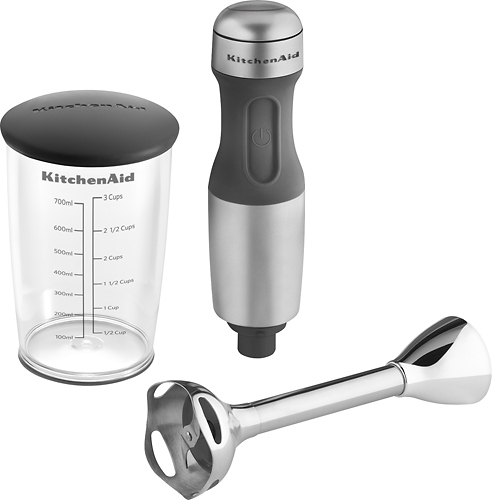 The twist-lock design lets you remove the blending attachment for easy cleaning. 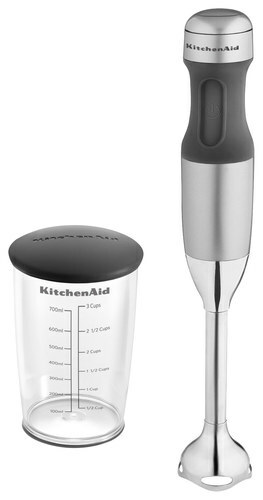 8" shaft Provides deep immersion to help ensure thorough mixing. 5' power cord Provides extended reach for easy maneuverability in the kitchen.